When an individual or a company enters into a transaction at an undervalue the Insolvency Act 1986 has provisions (sections 238 and 339) which allow an officeholder, whether they be a trustee in bankruptcy of individual or a liquidator to the company, to overturn those transactions. In relation to the company the transaction must be within 2 years of the commencement of the liquidation and 5 years in relation to an individual who enters bankruptcy. However, the Insolvency Act also has a provision which allows transactions at an undervalue that were intended to defraud creditors to be overturned, section 423 Insolvency Act. Unlike the provisions of section 238 and 339 there is no statutory time limit for a claim and creditors may also bring a claim, although the use of section 423 is curtailed by the high evidential burden placed on the claimant. of otherwise prejudicing the interests of such a person in relation to the claim which he is making or may make. The Court of Appeal recently had to consider a case involving the defendant, who, aware that he was facing proceedings which could bankrupt him transferred assets to his son. The Court of Appeal re-affirmed that the correct test to be applied when considering whether or not the relevant transaction had been entered into for the prohibited statutory purpose. Where the transaction was entered into by the debtor for more than one purpose, the test was not that the Court has to be satisfied that the prohibited purpose was a dominant purpose, or even the sole purpose of the transaction, the test was to ask whether the transaction was entered into by the debtor for the prohibited purpose, if it was, then the transaction falls within s 423(3), even if it was also entered into for one or more other purposes. The Court has to distinguish between a purpose and a consequence of the relevant transaction. The victim of such a transaction will need to satisfy the Court that they can evidentially show that it was a purpose of the transaction, rather than simply showing that the end result or consequence, was the putting of assets beyond the reach of creditors. In this particular case the First Instance decision was that that no order could be made under section 423. The Court concluded that the transfer was a gift but the purpose of making the gift was to secure an Investor Visa for the debtor’s son. 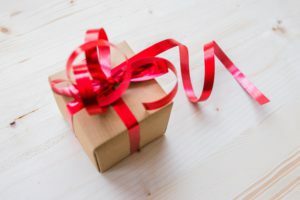 The debtor had appreciated that when making a gift this might prejudice the interests of his judgment creditors but that was a by-product of the gift rather than its substantial purpose. The Court of Appeal upheld the order of the lower Court, confirming that section 423 can be engaged in a dual-purpose case and that the victim need must establish that ‘a purpose’ of the transaction fell within Section 423 not that this was the sole purpose. There was no requirement that the statutory purpose was the dominant purpose or substantial purpose. In this case the judge at First Instance had found as a matter of fact that the debtor would have made a gift whether or not it would have put money beyond the reach of his creditors and was not prepared to infer that this was the purpose of the gift. The Court of Appeal confirmed that this was a correct approach in such matters. The Court cannot assume what the purpose of the transaction was, it was for the victim, to prove. Unless the victim can prove that it was the defendant’s purpose to put assets beyond the reach of creditors section 423 will not result in a remedy. At Cognitive Law we have experience in bringing and defending claims in connection claims under sections 228, 339 and 423 and are happy to discuss any issues that you may have in this regard. Before you sign on the dotted line…..